With participants hanging upside down from colorful silky hammocks, a peek inside an aerial yoga class might look like something straight out of Cirque du Soleil. But according to Janet Egerer, co-owner of PYP Studio in State College, aerial, or anti-gravity, yoga is a form of exercise that nearly anyone can do. “From the novice exerciser to the professional athlete, there’s something for everyone within the parameters of aerial yoga,” Egerer said. An aerial practice can enhance an experienced yogi’s mat practice, she said. That’s because the support provided by the hammocks, which are attached to the ceiling via a sturdy suspension system that can hold up to 20,000 pounds, allows for participants to explore poses that might not be as accessible in traditional yoga classes. Egerer said physical benefits include increased lymphatic drainage, increased circulation, increased brain function and anti-aging effects. “The No. 1 benefit of this kind of yoga is compression-free inversion,” Egerer said. “It increases blood flow in between the vertebrae, giving you oxygen-enriched blood flowing in and out of the spine with decompression. Aerial yoga is contraindicated for people with heart abnormalities, glaucoma or current injuries, Egerer explained. There are also some limitations during pregnancy. But Egerer said she would strongly encourage anyone else to give it a try. Developed in 2007 by Christopher Harrison in New York, aerial yoga is relatively new, but Egerer believes that the fact that it has been around for 10 years and is continuing to grow in popularity shows that it is not just a fad. 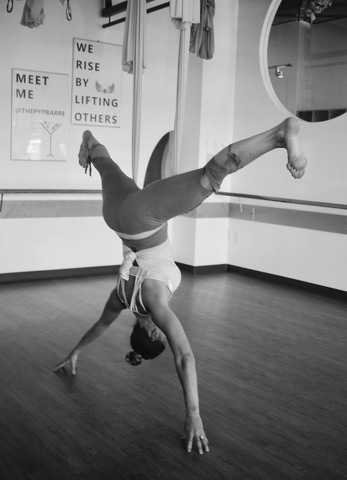 Located at 1748 S. Atherton St., PYP Studio has offered their version of aerial yoga, which they call Air Flow, for four years, with two skill levels of classes available each week. They also host private Air Flow parties by request. For more information, call (814) 308-8100 or visit www.thepypstudio.com. 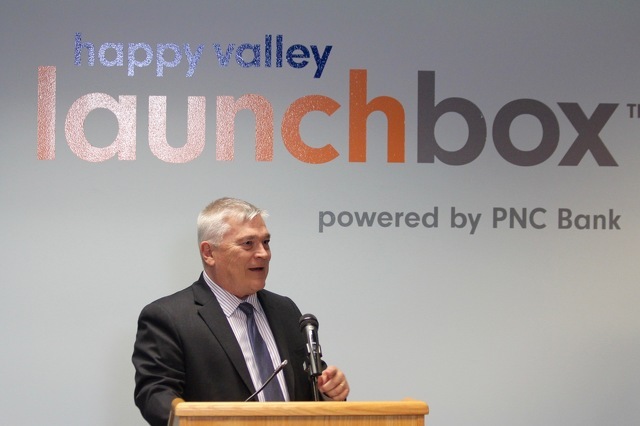 PNC Bank has committed $1 million to Happy Valley LaunchBox, Penn State's innovation hub in State College dedicated to providing support and resources to early-stage startups. Penn State and PNC officials made the announcement during an event at the LaunchBox on Monday afternoon.